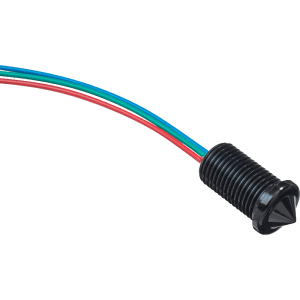 The Optomax Digital Range of Liquid Level Switches Are Ideal For Applications With Restricted Space That Require A Miniature, Low Power And Low Cost Sensing Solution. The microcontroller based sensor is solid state, incorporating an infra-red LED and phototransistor which are optically coupled by the tip when the sensor is in air. 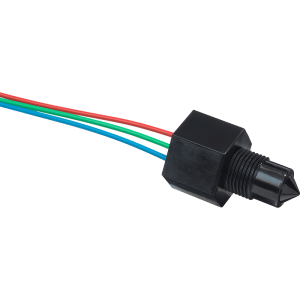 When the sensing tip is immersed in liquid, the infra-red light from the Optomax Digital sensor escapes making the output change state. 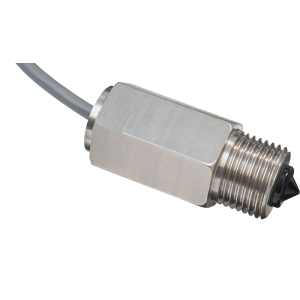 The sensor can detect the presence or absence of almost any liquid type; oil or water based. It is insensitive to ambient light and is not affected by foam when in air or by small bubbles when in liquid. 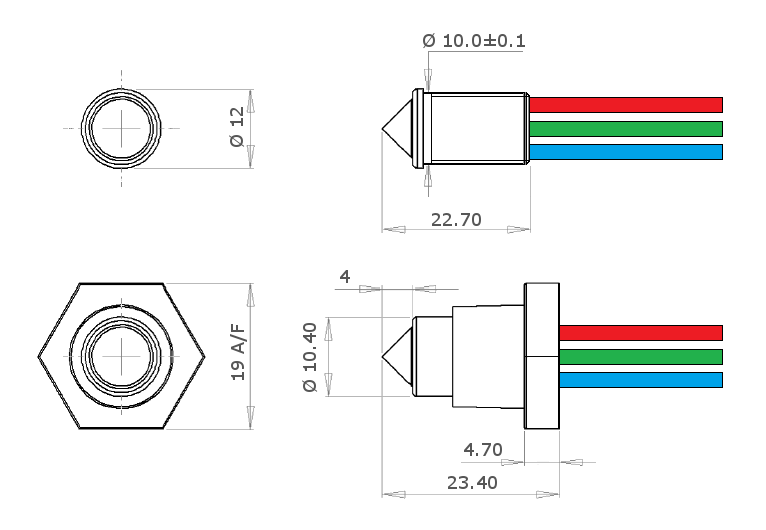 The TTL compatible push-pull output can sink and source up to 100mA at a supply voltage range of 4.5 to 15.4Vdc and can be configured to output a high or low signal when in either a wet or dry state. A fail-safe PWM option is also available with a supply voltage range of 4.5 to 5.5Vdc. 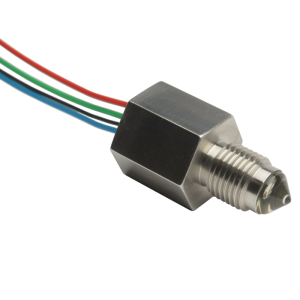 With housing options for internal or external sensor mounting and for use in two operating temperature ranges; Standard (-25 to 80°C) or Extended (-40 to 125°C). Available in two chemically resistant housing materials, Polysulfone, the standard choice for most applications or Trogamid, which is typically used in food and beverage applications although these liquid level switches can be used in other applications. Refer to the datasheet in the downloads tab for more options.